We wanted to share this story that recently happened to us because, first it taught us a lesson, and second, it might help someone as well. We live in a studio on the third floor of a big Victorian house, that basically means we are in a big room, share the bathroom with the guy who lives on the same floor and we have flat mates that live on the second and first floor. We never had any problems with any of them, always trying to be nice and friendly with everyone and in return they were the same way with us. Until one day, I was alone at home, just Julia and I, because, as usual, Samuel was at work. So, suddenly someone knocks at the door, not the door of our room but the door that separates the two floors, I open it, and it’s our neighbour from the second floor who starts yelling at me, and saying things that I just understood half of it! Mainly because the other half was swearing…:S, so I’m trying to understand what it’s going on, Julia standing right next to me, and then the other guy who lives in the same floor as us comes out and start telling the guy to calm down, and that that’s not the way to talk to a woman with a child in front and blabla… Anyway…we close the door, I’m still wondering what exactly the problem was and apparently he was complaining about the noise we make (noise that comes from a 2 year old girl who just likes to …simply be herself!) so I stay at the corridor talking to the guy and then go back to my place. Ten minutes later, someone knocks at the door, this time the door of our room, I open it, and I see our neighbour, holding the neighbour who was complaining, around his neck with his mouth bleeding, tearing up, and apologising to me because of the way he talked…OK… By then I was completely in SHOCK, I told both of them that it was fine, that we were going to try to be less noisy…anyway they both left and a few minutes later I get to talk to the guy who punched the other one that even though I appreciated the help we didn’t believe in violence to solve things…he felt bad as well, of course. After that, the other one came again to apologise, I told him we were sorry, and apparently he had been complaining to the landlord for a couple of months about that and we were never told anything. I have to admit I was shocked, a bit scared and worried about the whole situation so I called Samuel and asked him to come home as soon as he could. It touched our hearts! We knew we had chosen the right way, the path to love everyone no matter what, to not judge others and to solve problems with understanding leaving fear and pride behind. 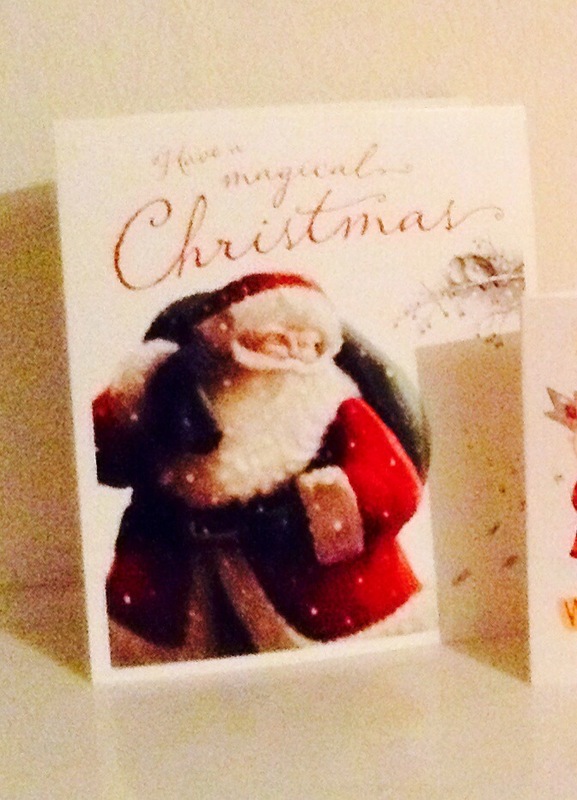 And that’s … The story behind the Christmas card. I read all. I was bit scared. You managed fine the situation. Good for you!